Come sail away on an state of the art catamaran to our sister island, Nevis. Once we reach Nevis, the Captain will drop anchor in a pristine snorkeling cove, where you will explore the rich marine life and home to snappers, damsels, trumpet fish, angelfish, and several species of parrotfish. All snorkeling equipment will be provided to you. After snorkeling, spend the rest of the afternoon relaxing on Phinneys Beach. No stop to Nevis is complete until you’ve tried a Killer Bee at Sunshine’s Bar! Tour includes lunch and complimentary beverages. Alcoholic beverages are served after the snorkeling portion of the tour is complete. Join us on this fun, informal yet informative drinking tour with other drinking enthusiasts like yourself. 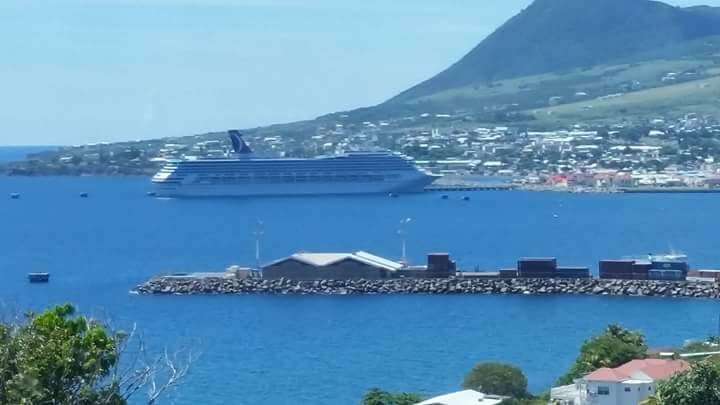 Drive through the City of Basseterre, beginning the island’s spirits at Cheers Bar on Port Zante, then onto the next “watering hole’ at Tony’s Bar in the village, even rub shoulders with some of our locals . Continue this unique cocktail tour towards the Southern Peninsular, on the way – passing the Governor’s House, our International Airport as well as an old sugar plantation. On the iconic Southern Peninsular, where the Atlantic Ocean is on your left and the Caribbean Sea is on right, we will salute the beauty of St Kitts and this stunning view with our signature “Holy Ghost” rum drink. Our last stop before heading back to the port is Vibes Beach Bar where we have our final drink and take in the beauty of the Caribbean Sea. Tour includes round trip transportation, 5 rum stops and a bottle of water . With its lush and picturesque natural flora and fauna, this rainforest tour will captivate you with its pristine steams and waterfalls, follow your guide as he takes you further into this protected rainforest adventure. Explore as you walk through the bamboo path and listen to the sounds of nature surrounding you. Come face to face and watch the playful antics of the Green Vervet monkeys who call this rainforest their home. We arrive at Spice Mill Restaurant, where your chair and welcome drink awaits, soak in the natural beauty of Cockleshell Beach and the beautiful views of Nevis across The Narrows. A Caribbean lunch option is also available. You will be picked up, and returned to Port Zante with plenty of time for any last minute shopping.